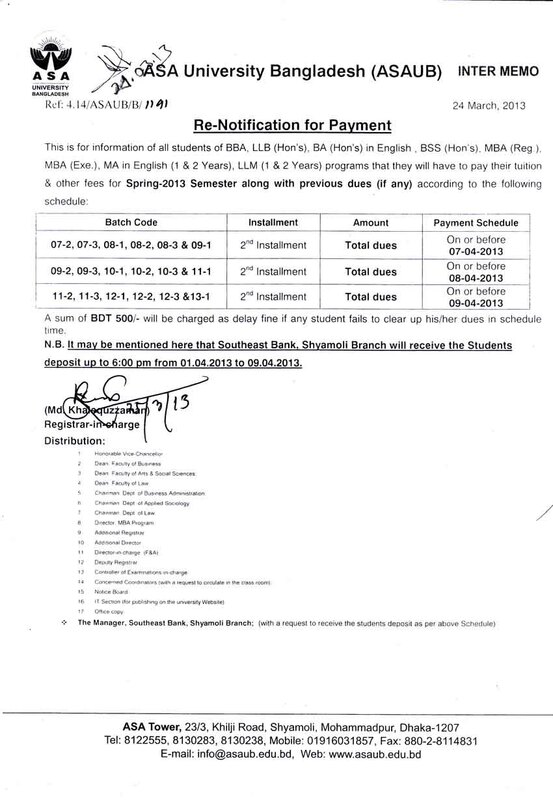 Notification for Payment-BBA,LLB(Hons),BA(Hons in English,BSS(Hons),MBA(Reg),MBA(Reg.),MBA(Exe. ),MA in English(1&2 yr),LLM(1 & 2 Yr.). .